But like all topics of social scrutiny, behaviour change is evolving. A mind map of key issues would include things like ‘interdisicplinarity’, ‘nudge’, ‘systems thinking’, ‘individual responsibility’ and ‘rigorous evaluation’. Topics like these are the subject of discourse within centres which study behaviour change across the UK. There is no cohesive ‘field’ of behaviour change, but a disparate range of experts who continue to build a portfolio of evidence from their particular set of ideological, methodological and ontological perspectives. What fascinates me is bringing together the range of these perspectives from established experts across the spectrum of behaviour change approaches and considering the historical roots of political, legal and persuasive intervention, along with the ‘nudge’ craze and softer marketing based measures. This inspired me to write Beyond behaviour change, as did the House of Lord’s Science and Technology Committee’s findings from their review of behaviour change; there is no silver bullet and approaches to behaviour change will be most effective if they are combined. This has become the mantra of good practice now and is not news, but what is interesting for me is the way theory can help reconceptualise a wicked problem and unravel it to a point where interdisciplinary interventions can be implemented. Systems thinking is a good example; providing a way of illustrating the complexity and interrelationships between factors at varying ecological levels. The Foresight Obesity map (shown right) is the most famous example: a simple glance demonstrates the sheer overwhelming magnitude of the problem of obesity. Surely interdiscipinarity has to be the answer. Theoretically, however, I find social practice theory makes an even stronger contribution to reframing behaviour change and I am certain it will be (or at least I hope it will be) a backbone of work in the future. 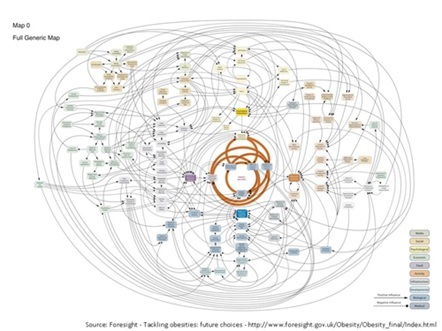 Going back to the Foresight Obesity map, a clear fallout is that focusing behaviour change approaches on the individual will fail to make the impact that is required. That is not to denigrate the fantastically rigorous evidence base unpicking the most effective combinations of individually-focused interventions, it is simply to argue that the need for a more systemic, holistic approach to complex wicked problems is a given. I think theories of practice have a lot to offer here. In a nutshell, practice theory does not seek to analyse the individual but rather the practice itself, made up of elements in the form of competences, materials and meanings. Practices are treated as an ‘entity’ which are carried and performed by individuals. To understand a wicked problem, researchers disaggregate it into constituent practices – like that of snackfood eating, driving or watching television. We study the way the elements within the practice are linked, break, performed and reformed and how the practice has evolved and might be encouraged to evolve in a socially beneficial way. The implications of practice theory are far reaching. For example, the approach stops the prevailing emphasis that the individual is always the ‘thing that has to change first’ to solve society’s problems. It opens up a need for new ways of doing research and for policy makers to accept methodological and ontological variety. It implies interdisciplinarity because a multitude of solutions will naturally be required to tackle the links between elements. With these implications come challenges, such as the emphasis in policy circles on positivist, traditional forms of research evidence – those that tend to consider the impact of various effects on an individual’s decision making. Also there is the problem of regulating business – surely a necessity if a practice theoretical analysis of practices involved in obesity, for example, is to be followed to its natural conclusion. Regulation does not fit within the current neoliberal political climate, whereas interventions which require individual responsibility and self-management do. The abstract nature of SPT can be a challenge, too, and the lack of associated ‘toolkit’ for policy use. Undoubtedly academics and policy makers – in their two culturally alien worlds – need to work on how to improve communication of evidence and the applied usefulness of theory. It is clear to me that the future cannot contain a continued focus on downstream interventions based solely on individualism, and that we must embrace a new paradigm which incorporates interdisciplinary, holistic thinking and methodological flexibility. However, this call for paradigm shift and holistic thinking by no means represents a conclusion reached by all Beyond behaviour change’s contributors, and in fact the tensions between some of the chapters are an intriguing part of the story. The intention is not to force cohesion but to facilitate progress by providing a space for the consideration of diverse ideas, and most of all to encourage movement within the discourse. I invite readers to become part of this discourse around ‘behaviour change’ at this pivotal point in its history. You can follow Fiona on Twitter @FiSpotswood and check out her website here. 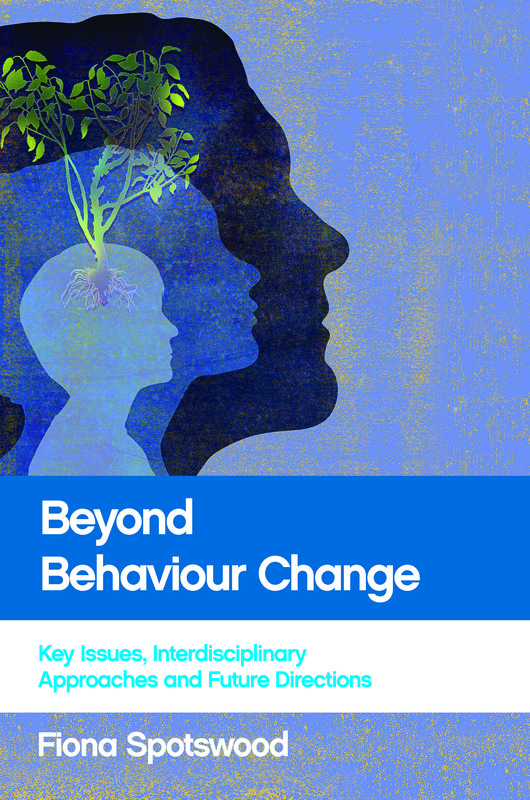 Beyond behaviour change: Key issues, interdisciplinary approaches and future directions is available to order here from the Policy Press website for £26.99. Remember that Policy Press newsletter subscribers receive a 35% discount – if you’re not a member of our community why not sign up here today? 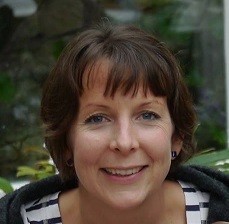 Dr Fiona Spotswood is a senior lecturer in marketing at the University of the West of England. Fiona’s research takes a cultural view of socially problematic behaviours and recently her primary research has developed into an exploration of the implications of marketing on various cultural phenomena which are damaging to societal wellbeing.